Finished off with stainless steel upholstery nails. The Large Flogger has falls that are 50 centimeters long (19.6 inches). 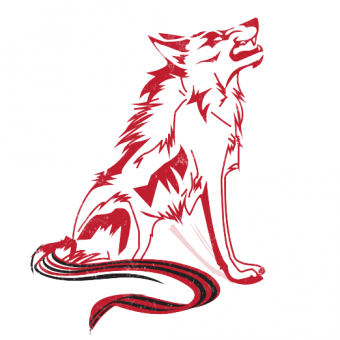 The Large Flogger has falls that are 30 centimeters long (11.8 inches). A stunning handmade leather floggerset! 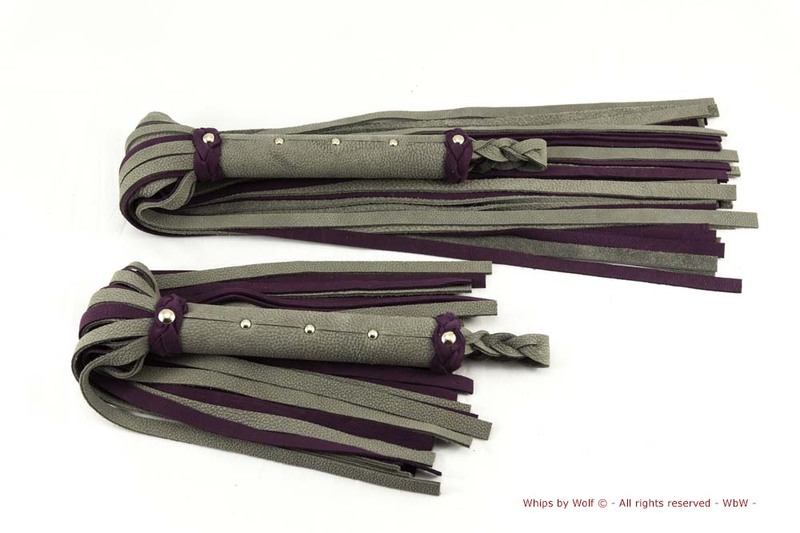 Grey and purple leather flogger made out of premium leather. This is a perfect allround floggerset and very suitable for warming up the skin. It provides a delicious thuddy sensation.